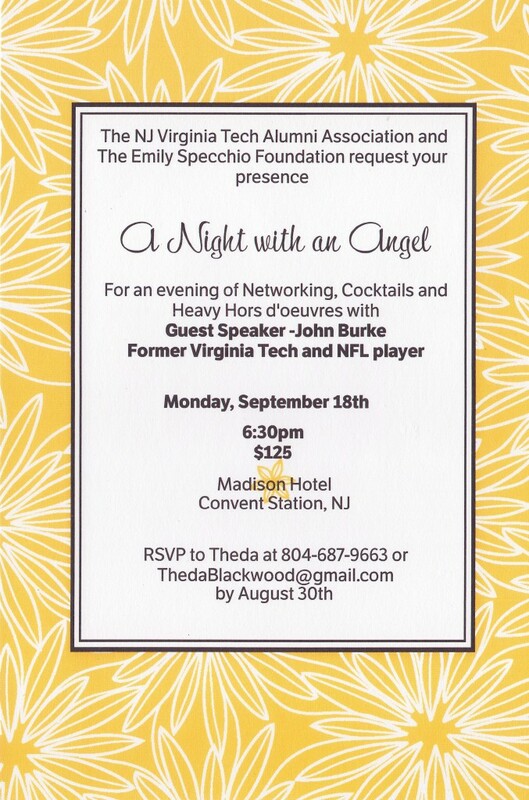 This year, the Emily C. Specchio Foundation will be teaming up with the NJ Chapter of the Virginia Tech Alumni Association (NJVTAA) to host our annual “A Night with an Angel” Gala. Please note that the format will be different than past “A Night with an Angel” events. The entire event will be held in the atrium of the Madison Hotel, and will consist of a more casual format with cocktails and food stations.